Have you ever tried to go basil, but not been as successful as had hoped? Basil is one of the most popular herbs in the world today and is also a popular choice for small scale growing in urban environments. Are you missing the basil growing basics? 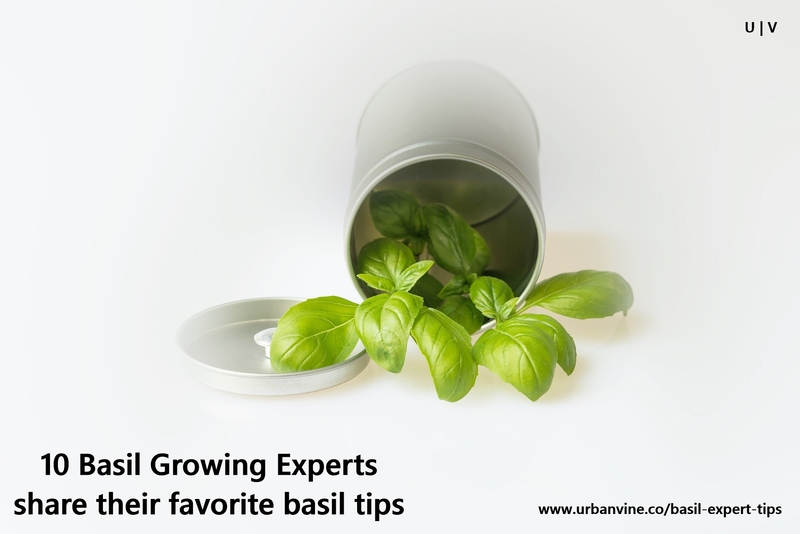 But there are also some best practices for beginner urban basil growers out there. Buying basil seedlings and watering them (as we have found from experience) will usually not be enough to grow vibrant looking and amazing tasting basil. 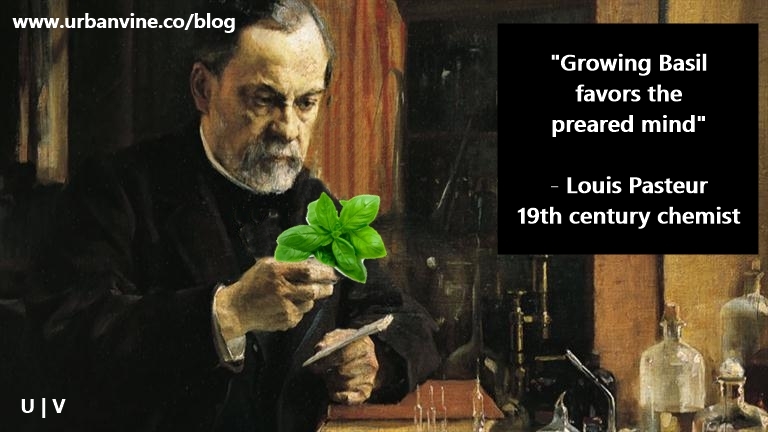 Louis Pasteur once said "chance favors the prepared mind", and this advice applies to basil growing. 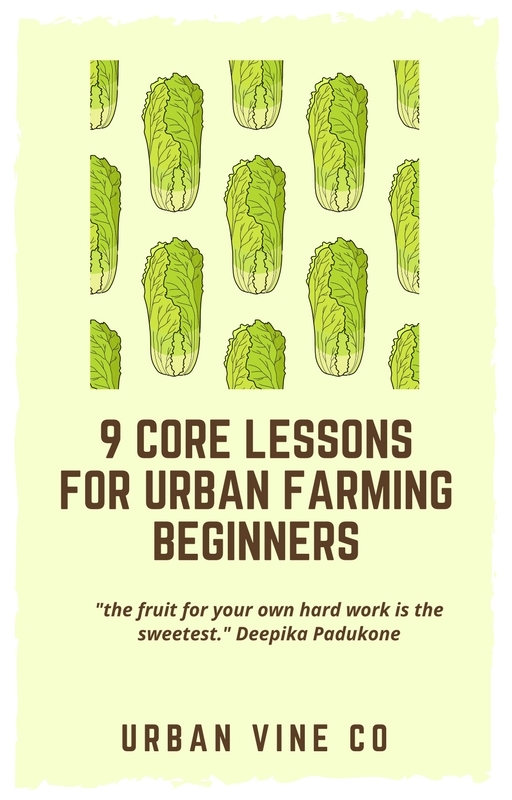 If you have considered starting a small scale urban farming project and are interested in starting with basil, it makes sense to learn from the experts to minimize the risk of trying and failing miserably to grow your basil (if you have already failed, here are some tips on basil growing mistakes and solutions). - Planting basil plants outside before the last frost is not a good idea. - For growing indoors or even just starting basil plants inside, one ideal option is to use a heat mat to increase soil temperature (For more information on basil growing temperature requirements, check out our Beginner's Guide to Urban Farming). - The basil plant growth will be stunted in small growing container. This will be true even if you apply flawless water and nutrients in the form of compost or other organic matter. - Potential solutions to this problem: space and climate permitting, growing basil outdoors will likely result in a larger plant. In urban settings with limited or exclusively indoor space, a larger growing container is the best solution for basil. In her guide to growing basil, Rita Heikenfeld of Country Inside Network states that growing basil with other crops that thrive in similar conditions can result in beneficial effects. - Growing basil with tomatoes can reduce incidence of pests that may be harmful to basil plants. - Pests often found in basil include beetles, slugs, and aphids. - Need any other reasons? According to Food Republic author Jess Kapadia in her article Plant Tomatoes and Basil Together To Repel Bugs, basil can even repel mosquitoes if you rub the fresh leaves on your skin. Growing from cuttings may result in a better basil harvest (What are basil cuttings?). "Take a cutting from the bush, remove the flowers and some of the leaves (so the cutting isn’t too stressed out) and place it in a glass of water. Keep the cutting out of direct sun, maybe on a kitchen counter out of the way, and leave it for a week or two. If it’s warm enough (it’s best to propagate it in the warmer months) new roots will form. You can then pop that in a pot with some damp potting mix and away it goes!" Expert Cynthia Sandberg of Love Apple Farm in Los Gatos, CA (via Sari Lehrer in this Bon Appetite magazine article), advises to pick you greens such as basil at a very specific time of the day. - Picking basil is best done extremely early in the morning before sunrise when both indoor and outdoor temperatures are cooler. 7. Harvest from "the top down"
- Harvest from the "top-down", starting at the top of the basil plant and working down as opposed to starting on the sides (it may be tempting to start on the sides, but resist the temptation). - Snip the stem about a quarter inch above the "node" of the basil plant (where the smaller stems of the basil plant meet with the main stem. - "Basil will perform best if it is fertilized every two weeks. A liquid variety does the job well, and always follow package directions so you don’t overfeed the plant, which can quickly burn it." Keep in mind, this is not an exhaustive list, just enough to get your feet wet. 10. Which types of basil are best for growing inside? Bonus tip on lighting: Your light source for growing basil indoor should be either strong sunlight or "high-quality solar fluorescent lights". Check out the rest of our content below!